THANK YOU for taking part in Hernando County's Annual United Way Community Investment Campaign! As a United Way Campaign Coordinator, you join the ranks of hundreds of other volunteers who are dedicated to making our community a better place to live. Whether this is your first time as a coordinator or your twentieth time, this toolkit will help you get the most out of your United Way Workplace Campaign. It is designed to give you step-by-step guidance and offers materials and tips to ensure your success. As you organize and ask your co-workers to be a part of the change in our community by supporting the Community Investment Fund, here are a few key points you can share with them. This is our community. Together, through the Community Investment Fund, we can make childhood more enriching, students more successful, disabilities less debilitating and crisis less frightening. Everyone in our community deserves a chance to thrive. When you support the Community Fund, you are helping ensure everyone has that opportunity. The Community Investment Fund creates a powerful support system for our community. United Way uses your gift to the Community Fund- combined with the gift of thousands of others- to support HEALTH, EDUCATION & FINANCIAL STABILITY programs according to what our community needs now. Together, then, we create a more powerful chunk of change. You LIVE here. You GIVE here. It STAYS here! As you and your employees choose to invest in United Way and our Partner Programs, it is important to know that your dollars are staying LOCAL. My Community. My Community Fund. All of us have chosen to make this our community: a place where we proudly live, work, raise families and build great lives. 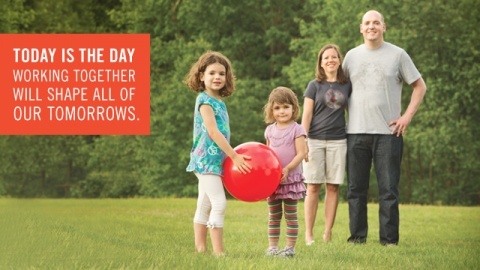 It's up to us to ensure that our community remains a strong, vibrant place for everyone. We can do that through supporting the Community Investment Fund. All contributions towards United Way's Community Fund are strategically invested in programs and partnerships that address identified community needs and achieve measurable results. 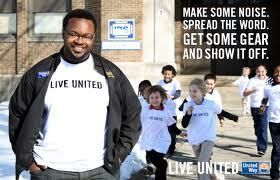 Check out the United Way Store for great deals on LIVE UNITED gear, campaign give-a-ways and promotional items.